....and that's a good thing. The news we share is often not good. Native bees, monarch butterflies and a host of other pollinators are still in peril and sharing that information with as many people as we can is important. Knowledge is essential for action and change to happen. Habitat fragmentation and loss, the use of neoniconoids and other pesticides and herbicides (by the agriculture/horticulture industry and home owners) and the introduction of non-native species are known causes of both wide-scale losses in biological diversity and pollinator declines. But, we must not give into despair or throw in the trowel...We can help pollinators. It's really quite easy, we must plant more flowers. Lots and lots of flowers that bees and other pollinators prefer. Flowers that are rich in pollen. Flowers that are rich in nectar. Colorful flowers that appeal to bees and hummingbirds. Flowers that have a range of shapes and sizes to attract butterflies, bees, hummingbirds and even flies! Flowers that bloom until frost for any late visitors. 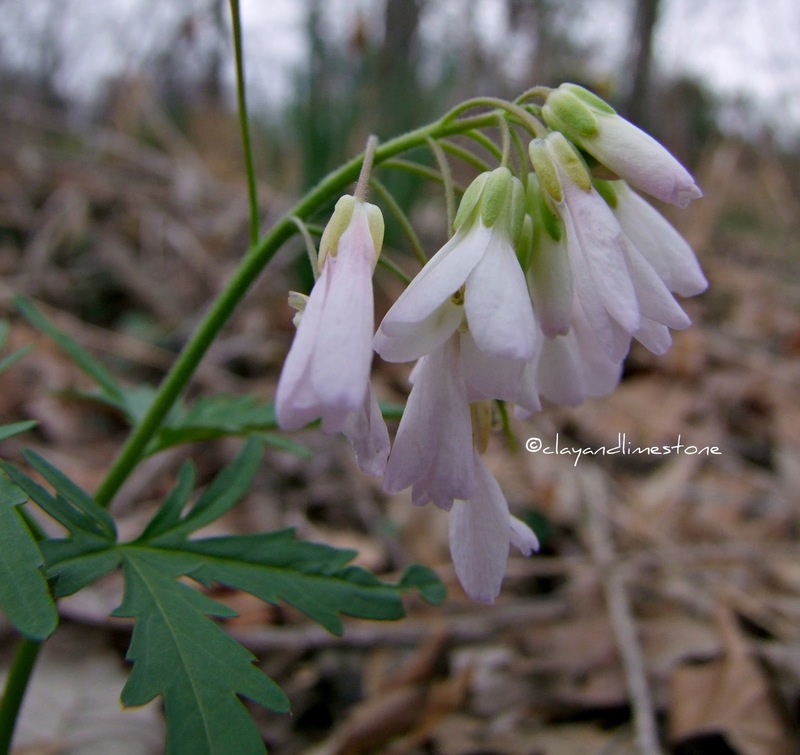 Early blooming flowers that are pollinated by gnats and flies or the occasional honeybee out and about on warm days. 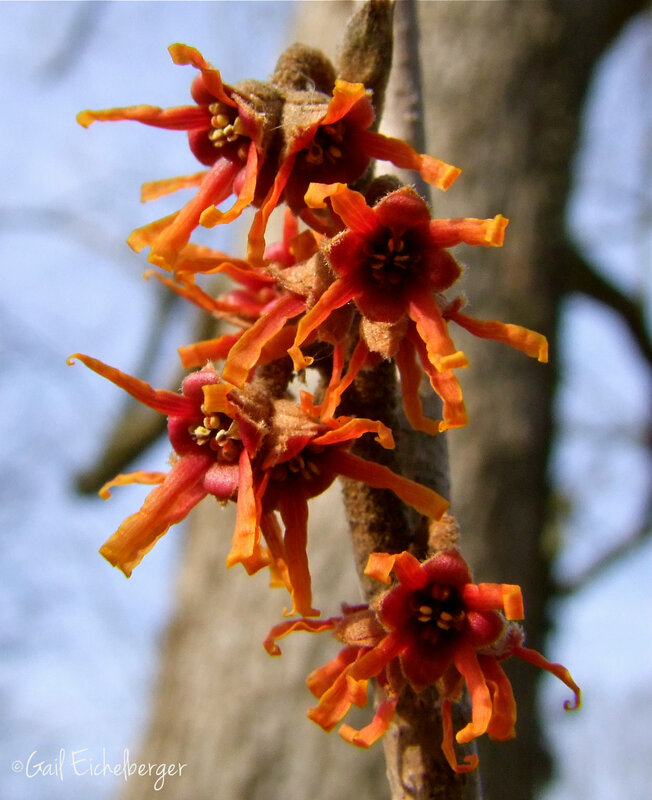 Flowers, trees and shrubs that are hosts for the larva of caterpillars and beneficial bugs. Flowers that are native to our part of the gardening world. Annuals and herbs are also attractive to pollinators and beneficial insects. There's one other thing that we can do to help pollinators! 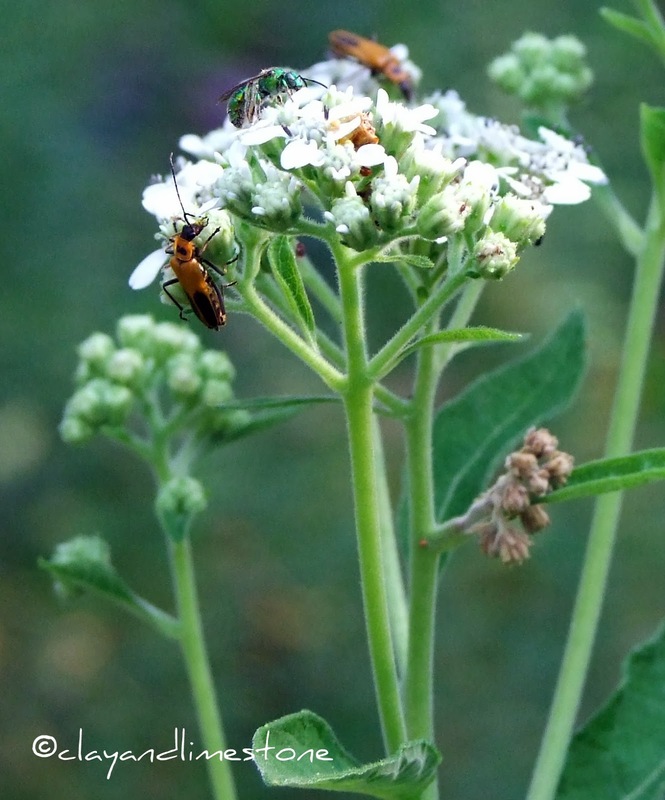 Learn to accept that there is beauty in imperfection and step away from the bug spray! We can pledge to never, ever, ever use pesticides in our gardens. So what's a gardener to do! We can ask our independent garden centers to stock plants that are not pre-treated with systemic insecticides or to identify the ones that have been treated. We can look for locally grown organic plants. We can grow our own. We can share and trade plants with other gardeners. We can become proactive and seek change~ Get the word out and work toward change of state and federal guidelines. We can change our perception of beauty to include the damaged petals and leaves of plants not treated with systemics. It might not be easy, but, they're so worth the effort. I do worry about our pollinators. I saw so few bumble bees in my garden last year. I worried. I hope this year is better for them. Hi Gail, This is an excellent post! I should get one of those signs for my garden. That's a great sign, Gail! Did you get it by joining Xerces? You manage to take the best photos of insects, especially bees. Luscious photos and a wonderful message. Your love shines through in this post, Gail. Nobody says it better! I do hope the local nurseries, farmers, and gardeners who care will join forces to make a difference. 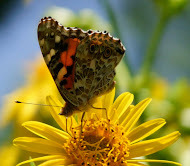 I saw two butterfiles this past weekend...a shock after our recent cold weather. 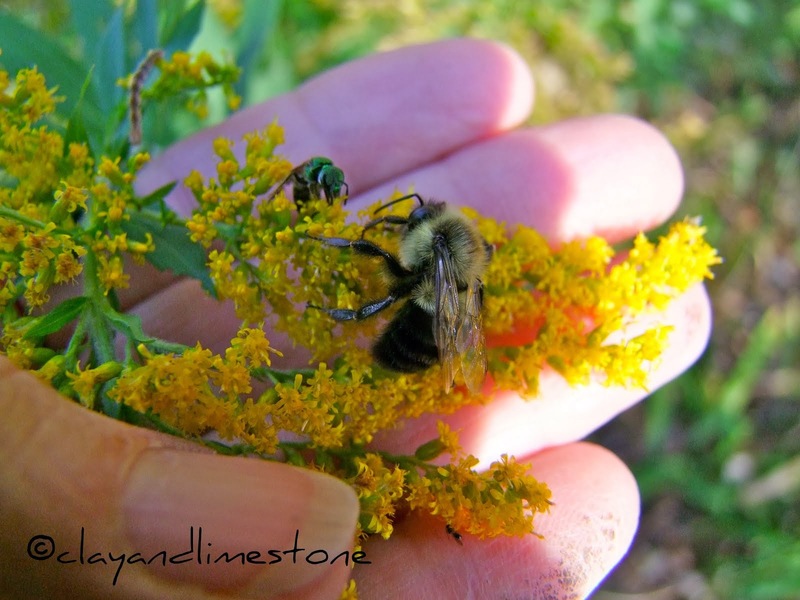 It's always such a delight to see your photos of the bees and other pollinators in your garden, Gail! It makes me think that spring can't be far away. My goodness, I thought I was doing what I could in planting more natives and not using pesticides. I've never thought about nurseries using systemic pesticides on plants I purchased--I'm definitely going to ask about this before I bring something home this spring! Lovely post, very important subject! Thank you Sarah, glad you stopped by. You are doing the earth a world of good! I love this! Thank you for making such a difference. And your pictures are simply gorgeous! Yes, indeed. We must plant flowers and avoid pesticides. I'm in! I'm totally with you, of course. The garden where I work is dedicating next summer to the monarch. The place will be thick with many species of Asclepias. I have planned the entrance to the children's garden to not only include Asclepias, but any other plant that would attract a variety of pollinators. I want it to vibrate from insect activity. I think we are on our way to more positive outcomes Gail. The news is getting out! I'm reading more and more about protecting the pollinators. Just the morning, there was an insert in the local paper for the local metro parks, with a big, long article about protecting the pollinators. It gave me hope! Great post and a great message, Gail. I hadn't thought about plants being treated BEFORE you bought them. Your pictures are so fantastic. So happy to see so many of us sharing the same concerns . This is a great post, your photos are beautiful. I think the word is getting out but considering the severity of the situation, I don't understand why it isn't common knowledge. Gail we need more people like you! Thank you for educating me about pollinators, I never knew they were as important. And being the first time I've landed on your blog I just have to say your photos are great (not sure if you take them yourself or not). Gail - Can you please tell me the name of the cream and red flowers in your second photo on your site? They are so lovely and I really want to grow some.